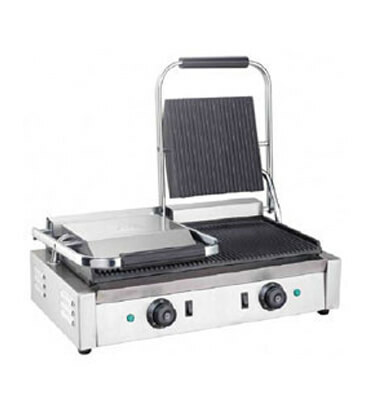 Double Sandwich Griller Manufacturer in India, Double Sandwich Griller Supplier in India, Double Sandwich Griller in India. We manufacture & supply an exclusive range of Double Sandwich Griller in India. These grilles are fabricated from superior quality material to ensure high strength & good output. We have both standard and customized forms of griller as per the clients' specific requirements.